Living a Fit and Full Life: Be Prepared this Year for All the Trick-or-Treaters on Halloween Night with Oriental Trading! Be Prepared this Year for All the Trick-or-Treaters on Halloween Night with Oriental Trading! 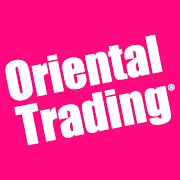 Be prepared this year for all the trick-or-treaters on Halloween night that come to your door with Oriental Trading! Oriental Trading has a terrific selection of candy to suit all your needs. I grabbed their NERDS® Assorted Candy and 100 Pc. 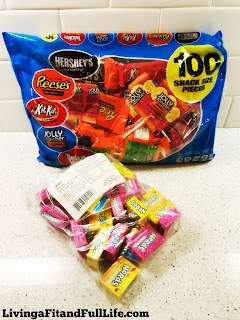 Hershey’s® Chocolate & Sweets Snack-Size Candy Assortment to hand out this year because they're my families favorite treats and I know other kids will love them too! I also love that there's some hard and some soft candy to hand out for the different age groups that show up at my door step this Halloween. Click HERE to check out Oriental Trading's amazing selection of candy! Click HERE to check Oriental Trading's amazing Halloween selection!